A few years ago, when a company faced a crisis they were expected to contact television stations, send press releases, hold a press conference and write letters to the editor. While the principles of crisis communication haven’t changed (“no comment” is still a bad response) companies need to begin adding two key components to their crisis communication plans: social media and content marketing. Today when facing a crisis situation, you need to reach out to consumers through your company’s blog, Facebook page, Twitter, Flickr and even YouTube accounts. This is where you can find your message spreading like wildfire. It really does take less than one minute for a consumer to write an unfavorable message, and less than 10 seconds for others to share their same sentiment. 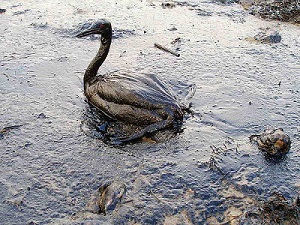 Let’s take a look back at the British Petroleum oil spill that spewed oil in the Gulf of Mexico for three months in 2010. While BP held numerous press conferences to update Americans on the status of the spill and capping the wellhead, they did not win any fans over on how they communicated within their social media accounts. BP did provide updates across their social media accounts, yet they failed to respond to any comments or mentions left by consumers and activists. In fact, they attempted to have Twitter accounts disabled that said anything negative about BP. Build relationships beforehand – We are in the era where we need to embrace social media and the key to doing so is actively engaging consumers at all times. By constantly responding to questions and creating thoughtful posts you can begin to build relationships, helping you maintain your positive image during a crisis. Use social media as two-way communication – It’s important to respond to Facebook posts or Twitter mentions. Yes, you can leverage your own posts and updates, but it is equally important to not let comments continually go unnoticed. Include social media in a crisis plan – Gone are the days of only having a press conference with one main spokesperson. Instead you need a trained team to strategically respond to comments left on social media accounts. Be prepared with preapproved tweets and Facebook posts that can be used during certain situations. Be transparent – Don’t keep information to yourself. 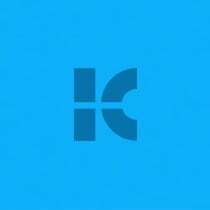 Share and keep your online community constantly informed. Post short video updates answering frequently asked questions, tweet and respond frequently. Social media requires more responsiveness at a quicker rate. A crisis can occur at any time, whether it’s a product recall, a school shooting, a chemical spill, a natural disaster or workplace injury. The key is to be prepared and understand that sending out a press release and responding to media questions is now only one piece of the puzzle. Update your crisis communication plan so it provides a seamless way to communicate within social media. You never know when you may need it! 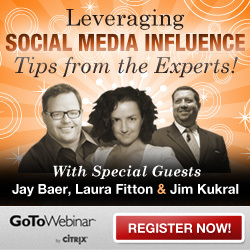 Expert Webinar Panel on Social Media Influence - Join Us! Join us for an exciting new webinar on Thursday, March 22nd at 12PM EDT, 9AM PDT and help us welcome Jay Baer, Laura "@Pistachio" Fitton and Jim Kukral for an all-star webinar panel to discuss social media influence, what it means for your business and how to best take advantage of it.